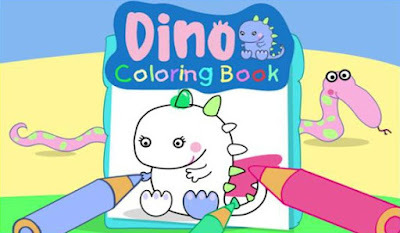 Dino Coloring Book offers color pages that are very easy and simple to use. Your toddler can color the device display with using nothing more than a tap. The app features different colors that can be chosen at random times and each colored page can be saved. Besides coloring pages, your child can express its creativity with drawing on a blank page which can also be saved and shared via email or on any social media including Facebook, Google+, etc. The app also allows zooming in on the coloring pages for a better view. Enhancing the physical coordination and imagination of any child, Dino Coloring Book is available for both phones and tablets and can be downloaded for free from Google Play.